"Mother of All Storms, formerly known as The Perfect Storm, has caused quite a stir over the last couple years and has sold out quickly. 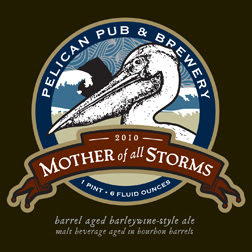 Mother of All Storms is produced in an extremely limited quantity and only 240 cases will be produced in 2010. 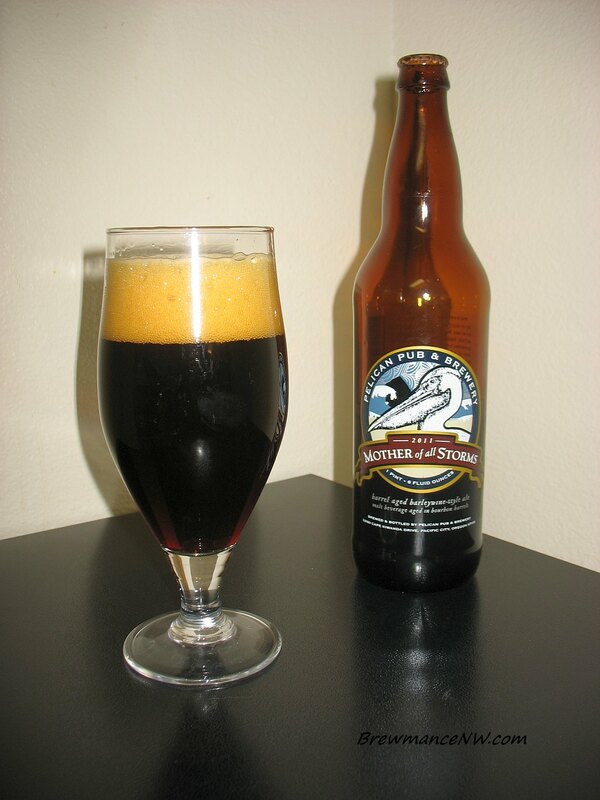 This year, the only guaranteed way to get a bottle (or more) of Mother of All Storms is to attend “Mother’s Day” on Friday, November 19 beginning at 8 a.m. or to book the “Mother’s Day” Package for Thursday, November 18 through the Inn at Cape Kiwanda in Pacific City. The “Mother’s Day” Package is for one night only—November 18, the night before the Mother of All Storms is officially released. Those who book it will be guaranteed a case of Mother of All Storms delivered to their room on Mother’s Day (November 19) and avoid the hassle of waiting in line. The package includes one night in a Kiwanda Guest Room at the Inn at Cape Kiwanda on November 18, a guaranteed case of the Mother of All Storms delivered to the room on November 19 and a limited edition Mother of All Storms t-shirt. Please call the Inn at 1-888-965-7001 for more information, pricing or to book your room. Dog-friendly rooms are available. 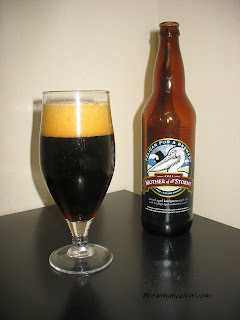 The Mother of all Storms is based on Stormwatcher's Winterfest, Pelican’s English-style barleywine. The Mother of All Storms spent four months aging in 1998 Evan Williams Bourbon barrels. Now at its peak, The Mother of All Storms delivers flavors of deep toasted malt, bourbon and oak. The finish rewards with whispers of vanilla, toffee and caramel. It’s best enjoyed with gusts exceeding 60 mph." My buddy Michael, of #PDXBeerGeeks, made the trip to Pacific City and grabbed this bottle up for me. It's a spendy little bugger. Thanks, Michael. Pulled this right out of the 55 Deg. F wine cellar. - Very dark cola-brown brew.. mostly clear from what I can tell. Big tan fingers of head which quickly settled down to a thin bubbly layer and a large ring on the edges of the glass. Looks good. - Thick caramel and grain, still some hot rubbing alcohol notes, lots of vanilla and woody character.. and more sweet grain. It's a boozy one. Some nice esters and current-like notes as well. Not too impressed though. - Big esters and fruity flavors with a splash of sweet molasses, brown sugar, husky barley, and rubbing alcohol. Vanilla and earthy oak tones shine through at the finish. Still much too hot of a beer though at this time. Some slight tannic flavors, phenols.. but very weak. 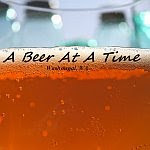 - Sticky and sweet brew with a full body, and pleasant carbonation. Certainly what I think such a heavy English Barleywine ought to be like.. not bad. - Can't say that I am raving about this beer. The hype, and price would make one think that this has to be one of the best special release beers around. For me, it isn't. It's solid, well made, and great quality.. just doesn't touch some of my favorites like Midnight Suns, and Southern Oregon Brewings'.